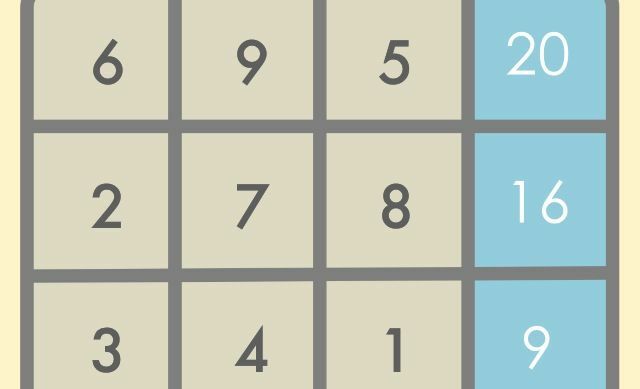 Magic squares have always vexed me. I understand the concept — arrange a grid of numbers so that the rows and columns add up to predefined values — but actually doing them is beyond me. 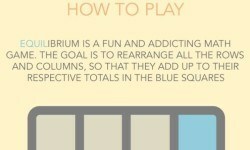 So maybe I’m not the best person to review Equilibrium, a new iOS game that is nothing but magic squares for days, but I think I can put my own incompetence aside to recommend it. It has great presentation, a good challenge and is as accessible as can be. I’m still awful at it, but hey. I’m just throwing this in here to prove that I did, in fact, complete a level. You start with the obligatory grid: It’s 4×4, and you have to arrange the numbers in the yellow 3×3 grid to add up to the numbers in the blue boxes along the right and bottom edges. Incidentally, the column and row of blue numbers add up to 45, but you don’t need to worry about that. In order to move the numbers around, you tap one and then another, and then they will switch places. It’s quick and easy. But while you’re doing that, the world’s most evil timer is counting inexorably to your failure. 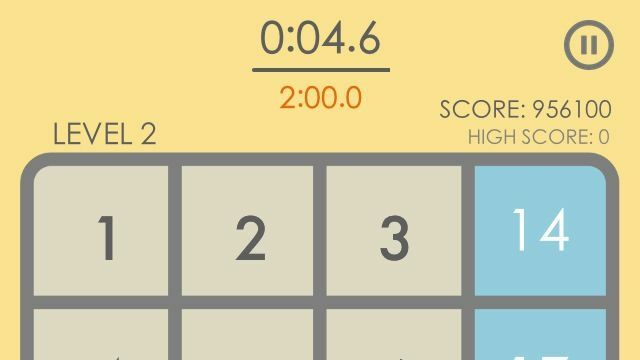 The first level gives you three minutes to solve the puzzle. If you don’t, it makes an “Eh” sound, resets the board with new numbers, and starts over. That’s basically it. Fun game. Hate the timer. The Good: Good visuals, simple gameplay, and very challenging. The Bad: Evil timer; constant feeling of failure. The Verdict: If you’re fast at taps and mental math and you work well under pressure, it’s a great match for you.